The Temple of Isis is a legally recognized church and 501(c)3 Non-Profit in California established in June of 1996. We honor the Goddess Isis, who in modern terms equates with Mother Earth, and has been worshiped longer than any other deity known on the planet. We refer to Her as Isis of 10,000 Names, as she has many incarnations in other religions and practices all over the world. 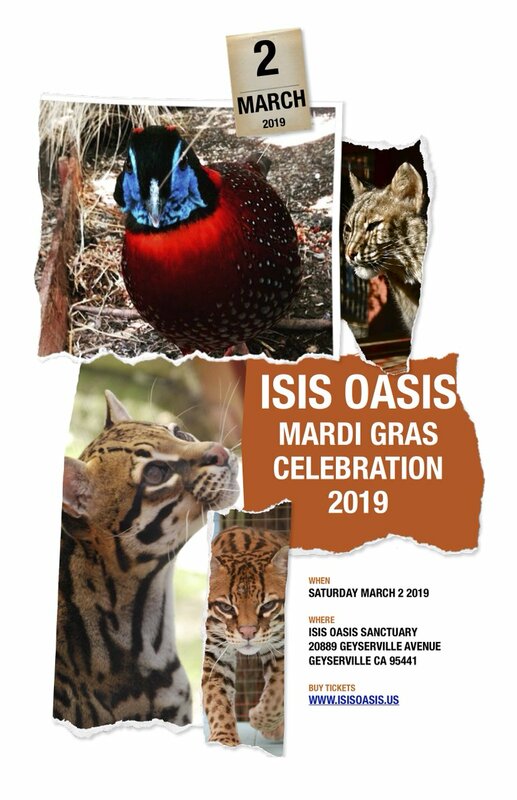 In honoring Isis we honor the Earth, recognizing the peril of this time, given the amount of pollution, destruction of endangered species and violence between countries and each other. We seek to establish harmony, caring, and love among all people by gently pointing the way to a more feminine perspective. We have no dogma, but prefer what may humorously be called catma, a kind of freedom and independence in thought stemming from the ancient wisdom of Egypt. We generally follow the principles of the Fellowship of Isis, out of which our temple was born. The FOI was established by Lady Olivia Robertson and her brother at Clonegal Castle, Enniscorthy, Ireland, which has tens of thousands of members in over 80 countries. Those who are members of the FOI are connected only by their love for the Goddess as each practices in whatever way they wish. The idea is to create balance by incorporating the feminine in deity. We all need the nurturing, forgiveness, and compassion that the Great Mother provides, as we seek to integrate and strengthen both our lunar and solar qualities. 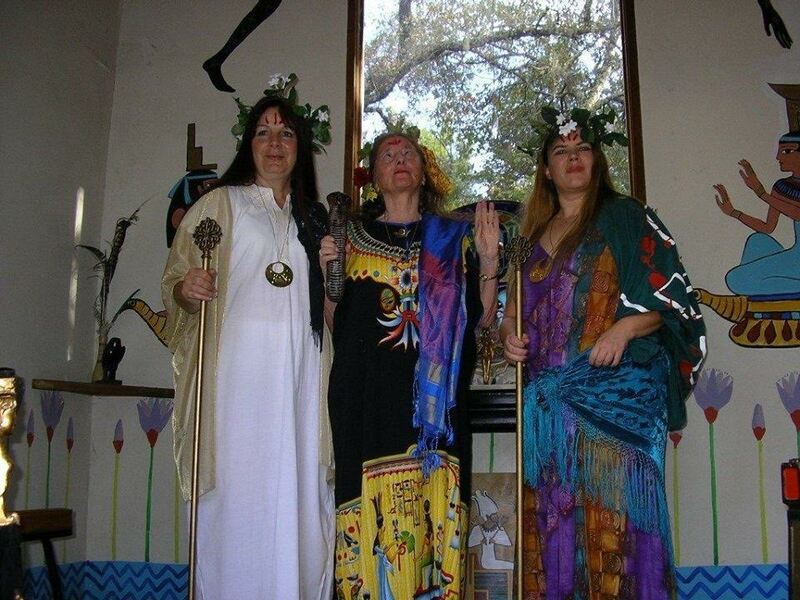 Those who become Priestesses and Priests of Isis, within this Temple, pledge to honor all life and commit to help the earth and her people’s not only for her preservation but to bring to our lives and the lives of future generations more light and wisdom. As legally recognized clergy, our Temple Priests and Priestesses can be called upon to perform marriages, funerals, hospice visits, last rites, baby blessings, house blessings, and general spiritual counseling for those in need. Feel free to call us if you would like to connect with one of our clergy for these services and more. If you are interested in becoming part of the Temple of Isis, we would like to meet you and welcome you to our events and community. Our Lyceum (a center for learning) is a spiritual community of like-minded people who wish to build a new world, in peace, balance, and harmony. The Temple of Isis is located at Isis Oasis Sanctuary, on 10 beautiful acres in Geyserville, California. The small Temple is always open for private meditation time. Our Grand Temple can be rented for larger events. The sanctuary has a pool, spa, sauna, aviaries of birds and endangered cats which are bred here, plus a sacred 400+ year old fir tree, where many of our gatherings begin in circle. We preserve our beliefs and expand upon them by sacred meditation, ceremony, and connection to earth, as well as the Goddess current that runs through us all. The Following is a slideshow of the Temple of Isis Convocation 2013, honoring Isis and Osiris, our annual ordination event. The late Rev. and Archpriestess Loreon Vigne of the temple of Isis undertook to create a modern day version of the ancient 42 Laws of Ma’at while traveling in Egypt in 1995. she collaborated with eight other priestesses while journeying on the Nile from Temple to Temple, updating the principals of life into a modern, positive guide for our community to embody and follow on their path to seeking the feminine divine.